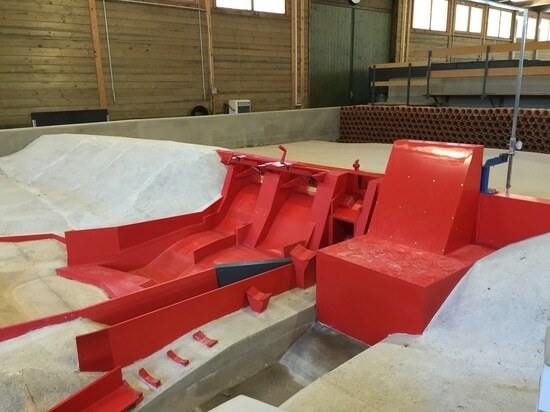 Due to a renovation of the “Hahnenhügel Bridge”, the existing pipe to the pumping station PW 100 in Schweinfurt had to be put out of operation. 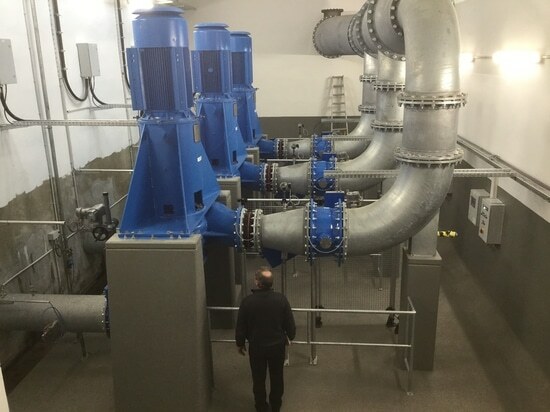 For this reason, a new pipework crossing the Main river was constructed.The old pumping station was in operation since 1966 with six impeller channel pumps. 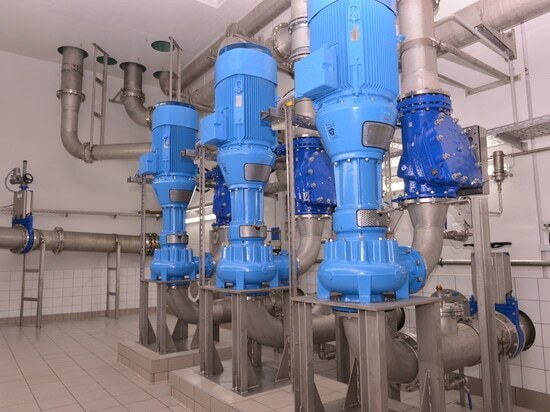 The incoming flow rate and the modified intake could not be used with the existing pumps. With the redesign and reconstruction of the pumping station, one of the six pumps could be saved. 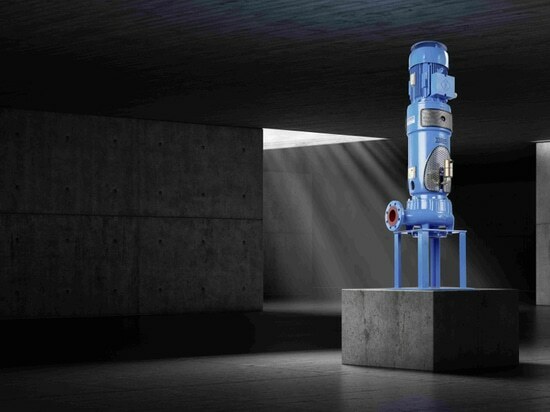 The job is now assured by five Turo® Vortex pumps from Egger in abrasion resistant hard iron execution. 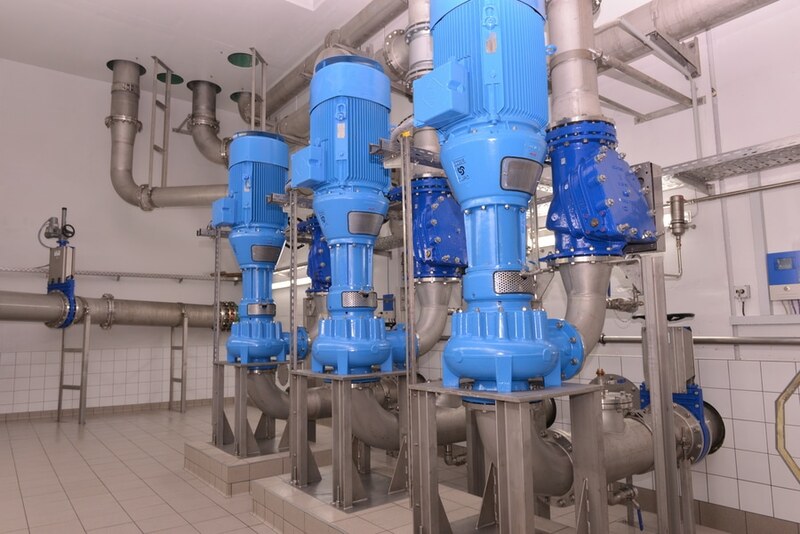 Three of them – in size DN 200 (8’’) are storm water pumps, the two remaining are pumping the raw sewage under dry weather conditions (DN 150 / 6’’). At the same time, the maximum flow of the pumping station has been increased to have sufficient reserve during heavy rainfall. The new Turo® Vortex storm water pumps are in space-saving vertical design with a 55 kW motor and a hydrodynamic shaft seal type Eurodyn®. 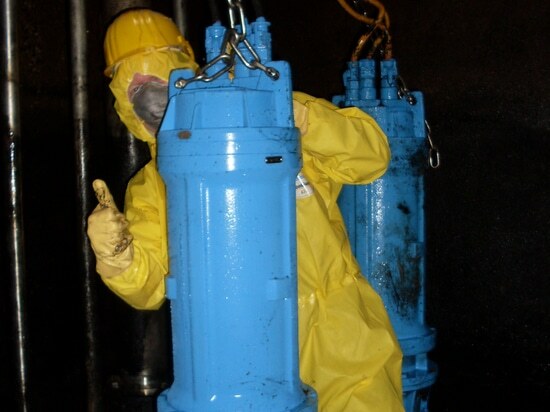 They assure 160 l/s each at 12 m total head. 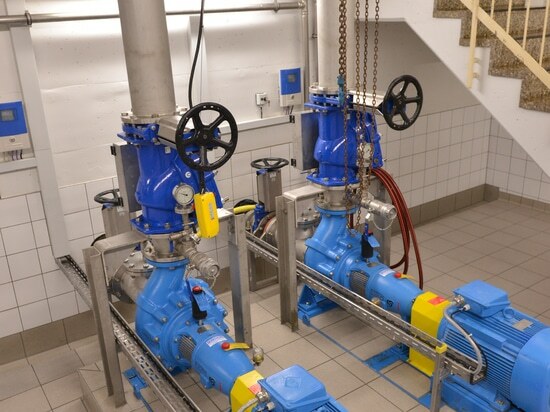 The dry-weather pumps are in horizontal design with a double mechanical seal in tandem arrangement and a 22 kW motor. They reach 75 l/s at 10 m TDH. 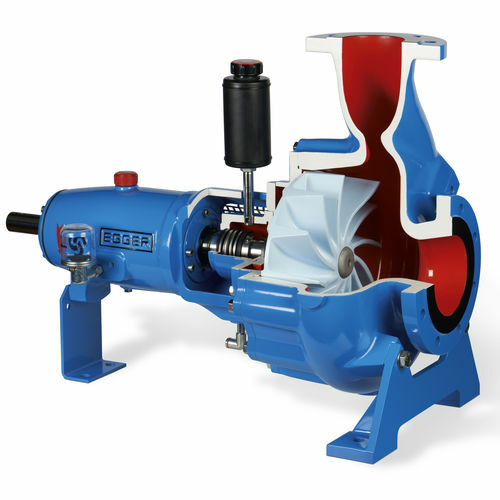 All pumps are equipped with frequency converters and are executed in highly wear-resistant chrome molybdenum casting (HG25.3). The engineering office ProTerra performed successfully this complex modification and allowed us to kindly to publish these pictures. The new Turo® Vortex storm water pumps are in space-saving vertical design with a 55 kW motor and a hydrodynamic shaft seal type Eurodyn®. 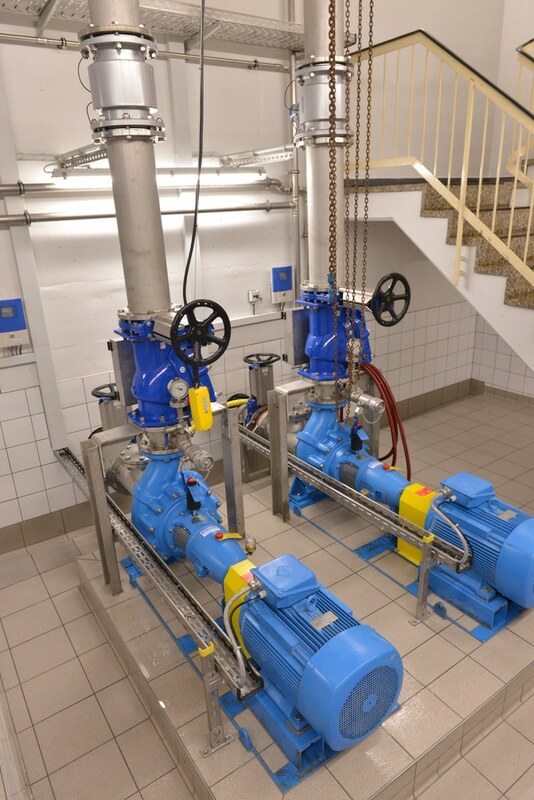 Turo Vortex dry-weather pumps in horizontal design with a double mechanical seal in tandem arrangement and a 22 kW motor.